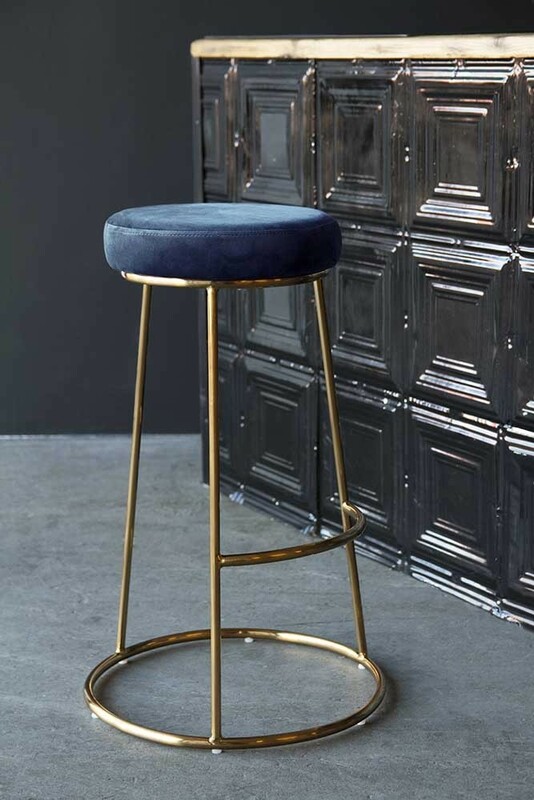 A beautiful blue velvet bar stool with glamorous gold legs, the Petrol Blue Atlantis Velvet Bar Stool is our latest edition to our velvet bar stool collection. Made from soft velvet with gold metal legs the super striking Petrol Blue Atlantis Velvet Bar Stool measures 67cm in height with a seat diameter of 47cm. Made to high and ethical standards the Atlantis Velvet Bar Stool is also available in Rich Green, Rose Pink and Mushroom Grey. You can also shop similar velvet bar chairs and dining chairs in the range. 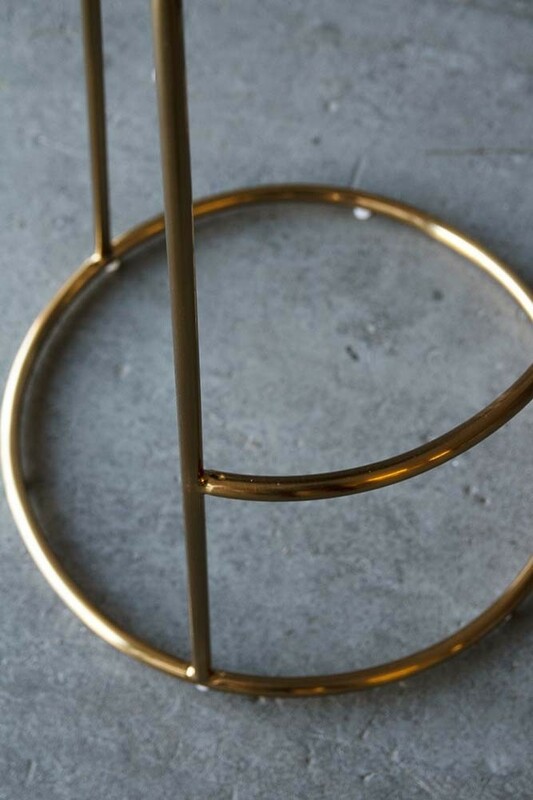 Please note that next day delivery is temporarily unavailable for this bar stool. Bar Stools are brilliant, perfect for your breakfast bar, kitchen island or home bar, they form part of the space in your home where your friends and family gather round to enjoy good food, drinks and company! So, we wanted to create a range of glamorous bar seating that would encourage unity in the home. 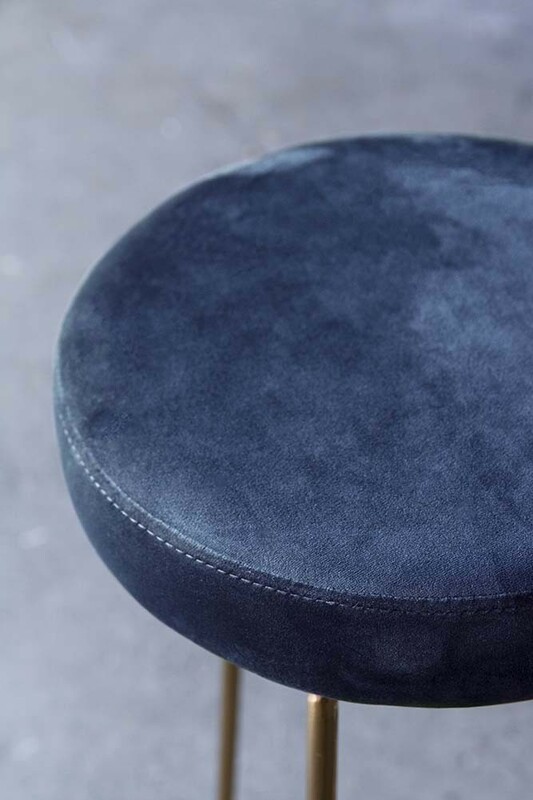 Part of the Rockett St George exclusive Furniture Collection our Blue Atlantis Velvet Bar Stool pays homage to the resurgence of classical velvet materials with a modern twist. In fact, we think that they look as though they belong in a New York Bar or hotel! So we think that anyone on the hunt for sophisticated bar seating that enhances your kitchen décor will love this piece.